The Store is up! You can purchase these plans in the store - click on the menu bar above or click on STORE! All updated descriptions and prices are there. ​Go to the store to see details. The long-awaited 44' version of the 18' profile is now available! It has the same great features as The Liorah, and more room to grow. Cord created this totally sustainable wood-framed design to be more user friendly for the average builder. He has built this basic design twice, working out any issues in real time. It is a tested design. The sizes offered were chosen for their efficiency and vary somewhat from the sizes of the prototypes pictured below. It includes all of the improvements and upgrades that Cord has come up with over the years. The floor plan is spacious and the height allows you to grow vertically as well as in the ground. A 12' peaked ceiling allows for tropical trees or vines to create a green summer canopy. The water is efficiently placed against the north wall on a 2' pad, keeping it out of the way and allowing for maximum stabilization of temperature with no moving parts or energy input required other than the sun. At 8,120' in the Rockies, we can grow warm weather crops year round. This view shows the attached shed option. 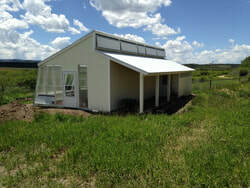 ​13' x 16' "Cord's New Eco Greenhouse" - Pictured Below - Totally Sustainable Greenhouse. This is the updated version of Cord's original greenhouse. Cost: $197.00 + $13.00 Shipping - $210.00 ea. 13' x 16' "Cord's Greenhouse"
11' x 16' - "The Little Greenhouse That Could" - Pictured below. This is the first prototype we ever built. Cord has updated the plans and they are ready to go. 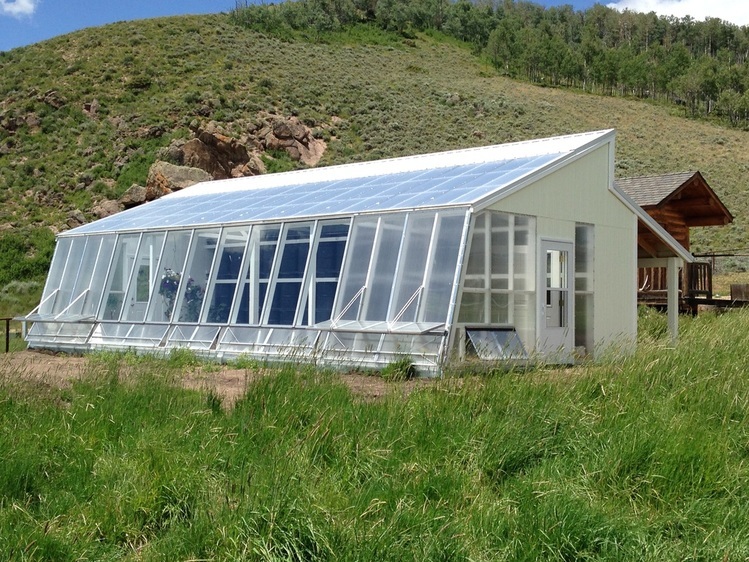 This greenhouse can grow warm weather vegetables for at least 8-9 months of the year without any supplemental heating or cooling. It grows cool weather vegetables year round. The Store is now open and you can purchase plans HERE or click on store up on the menu bar. If you would like to pay for plans with a check you can. You can send the check and a filled in and signed Letter of Agreement together via snail mail or you can send it back digitally once it's filled in and signed. Thank you!